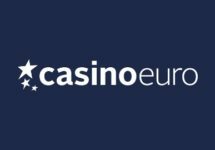 Casino Euro – European Championship of Roulette! Play for a seat at the ECR! 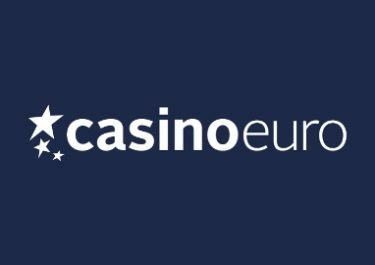 Win one of the last seats at the ECR 2018, cash prizes and Free Spins bundles! The 2018 European Championship of Roulette is just a month away and there are only a few seats left. 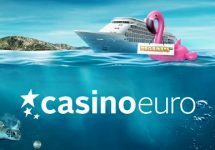 The exciting event will take place between 5th – 8th April 2017 at the luxurious Portomaso Casino on the Mediterranean island of Malta and boasts again an estimated prize pool of €200,000. Casino Euro is giving away over the next few days eight ECR Packages which include a seat at the tournament, return flights and 5* accommodation. Live Roulette enthusiasts and wannabees at the ready! The second European Championship of Roulette will take place from 5th to 8th April 2018 on the sunny island of Malta. The last man/woman standing will be walking away with a massive €50,000 in cash. Take part in two campaigns at Casino Euro over the next few days to grab one of the last seats for the tournament. ECR 2018 Packages include: Tournament buy-in for one, return flights to Malta for two, airport transfer, 3 nights at the 5-star Hilton Hotel for two, buy-in to five Side Event Tournaments, entry to all tournament parties and activities. A cash alternative is not available. The reels on Play’n GO’s latest creation, Gold King, are filled with special rewards waiting to fall at random. Play actively on the new slot and you could randomly trigger a prize drop on any spin. 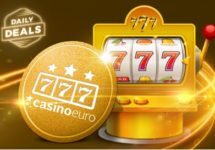 Available are a total of 5 ECR 2018 packages and 200 bundles of 30 Free Spins on Gold King. The campaign runs until all prizes have been given away. An in-game tab displays remaining prizes. Winners of the ECR packages will be contacted within 72 hours. The Free Spins will be credited by 12:00 CET the following working day with a 15x wagering requirement on the winnings, subject to the Casino Euro bonus terms and conditions. Play Live Roulette to sprint your way up the leader board and win a trip to the ECR 2018 in Malta or cash prizes. Earn one point for every €20 wagered on any Live Roulette table. The TOP3 scorers will win a package for two at the European Championship of Roulette worth €2,500. Players placing 4th to 10th will win cash prizes ranging from €25 – €500.